While the facts are still emerging from the loss of MH17, it now appears highly unlikely that the missile crew intended to shoot down an airliner from a nonaligned country peacefully traversing Ukraine airspace. It is also clear from the earlier Malaysia Airlines MH370 disaster that a highly competent, independent, global accident investigation organization is now needed. Having spent decades investigating crashes for the U.S. National Transportation Safety Board, the Federal Aviation Administration and the Air Force, as well as working with the International Civil Aviation Organization, I know that high visibility accidents, such as this one, often lead to important reforms. Hopefully, two seminal enhancements will emerge from this catastrophe: better training to prevent “human error” and the establishment of a United Nations Transportation Safety Board. This week’s downing of the jumbo jet bears an uncanny resemblance to earlier disasters, including the 1983 downing of a Korean Airlines Boeing 747 by the Soviet Air Force over the Pacific, and the 1988 destruction of an Iranian Airlines Airbus 300 by a U.S. Navy missile cruiser in the Persian Gulf. Investigations of both accidents revealed that human error was the underlying cause, and such disasters were not limited to civilian airliners. In fact, the worse fratricide since Vietnam occurred when US Air Force jets shot down two U.S. Army Black Hawk helicopters over Iraq in 1994. Even more tragic was the fact that training programs existed that might have prevented all three of these catastrophes. One such training program was first utilized by U.S. airlines and called Crew Resource Management. CRM was launched by an NTSB recommendation that I wrote after the tragic 1978 crash of a United Airlines DC8 in Portland, Oregon. By the mid-1980s, CRM was required by all major airlines in this country and it quickly spread around the globe. This training teaches pilots and others how to access risks, avoid the loss of situational awareness, improve interpersonal communication and coordination, and thereby results in enhanced collective judgment and teamwork. CRM training has been credited with helping to dramatically reduce airline accidents in recent decades. While CRM training was mandatory for airline pilots, it has also been successfully applied to many other professions, including nuclear power plant operators, air-traffic controllers, and emergency-room medical teams. In fact, after investigating the Black Hawk fratricides noted above, I recommended it for all U.S. military personnel who have to make dangerous, time-critical decisions based on imperfect information. Unfortunately, the Pentagon ignored this recommendation and other tragedies have followed, including the loss of Army Ranger Pat Tillman. It is now time to teach CRM training globally as was done for pilots. By doing so we could reduce human error, which is a cause in approximately 80 percent of accidents in all arenas. Another important potential enhancement is the need for a truly independent, highly competent, global accident investigation organization. The United Nations International Civil Aviation Organization’s current procedures that govern accident inquiries were written over a half-century ago. Many of these so-called ICAO Annex 13 protocols no longer make much sense. For example, establishing which country should lead the investigation based on things such as the “country of occurrence” and “country of manufacture” have become irrelevant today. Note that the Malaysia MH370 jetliner was probably in international waters, but per ICAO Annex 13 guidance, that country was responsible for leading the investigation. Unfortunately that government was a major shareholder in the airline itself, and many have accused them of duplicity, incompetence, and even intentionally ignoring potential problems. Furthermore, the “country of manufacture” is also confusing, because airliners are now manufactured by international consortiums, even if their headquarters are in cities like Chicago or Toulouse. Therefore, it is time to establish a “United Nations Transportation Safety Board,” rather than relying on national organizations, because some of these organizations, especially those in developing or Third-World nations are totally inadequate to conduct such critical investigations. I am not suggesting that we need a large new bureaucracy at ICAO headquarters. This “UNTSB” could rely on existing organizations like the American NTSB, the British Air Accident Investigation Branch, the French Bureau d’Enquêtes et d’Analyses and other well-known and highly-effective civil aviation investigation organizations. The U.S. military safety centers and those of other nations should also be part of this mix when there is a need for their expertise or equipment. There are some precedents for this important change: The United Nations itself has recently announced that it will be re-investigating the crash that killed their secretary general, Dag Hammarskjold, in 1961, which is now regarded as a possible assassination. And I investigated another very high-profile crash that occurred in 1986, killing the president of Mozambique. The South African government in December 2012 announced it was going to reopen that investigation to establish whether it was an accident or assassination. This tragic crash was discussed in my book, and I have also requested that the United Nations be put in charge of that new inquiry. Alan Diehl is an aviation safety consultant who has worked with the NTSB, the Federal Aviation Administration and the U.S. Air Force. 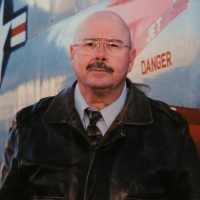 He is the author of "Air Safety Investigators: Using Science to Save Lives -- One Crash at a Time."